The 18-hole golf course at Caversham Heath Golf Club designed by David Williams, was opened in 2000 and affords excellent year round play to Members and visitors alike. 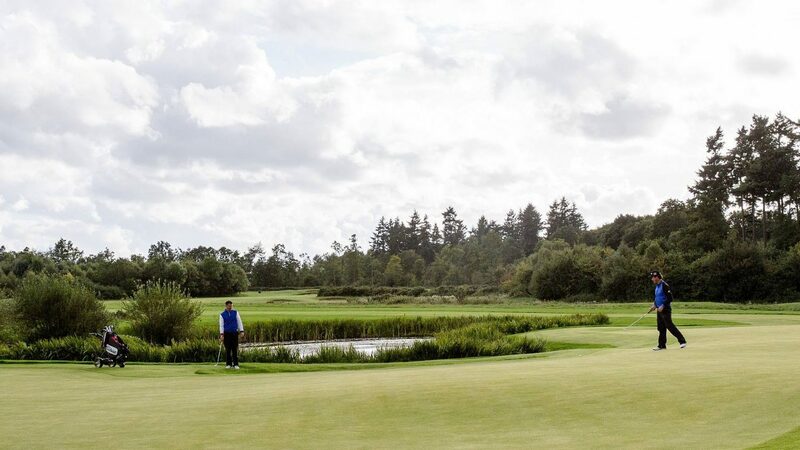 The course, built to exacting USGA standards, is unusually dry in winter whilst fully irrigated in summer, and therefore offers quality all year round play in the Reading, Berkshire and Oxfordshire area. The golf course has matured well, and rewards golfers of all levels, from complete novice to a low handicap golfer. You will all enjoy playing your golf in a breathtakingly beautiful heathland setting. There is a wonderful variety of holes, which will make sure you get the chance to use every club in your bag. Par 3s over water, dogleg Par 4s and challenging Par 5s. The fairways are regarded as the best in the area so if you are looking to play your golf near Reading you need look no further than Caversham Heath Golf Club. Create a bespoke golf day, we can cater for breakfast lunch and dinner, available to groups of 12 golfers or more Monday-Friday only. Prices from £28.50 pp (1st April - 31st October). Prices from £23.50 pp (1st November-31st March). From the M4 - 15 mins Leave junction 11 of the M4 and head towards Reading (A33). Head for Caversham still down the A33. Head straight over the roundabout, over Caversham Bridge. Stay in the left lane and turn left at the lights. This will take you up St Peters Hill (A4074) Travel for another 2 miles. Take the turning (opposite the Pack Saddle pub). from the comfort of your own home at any time day or night. Visitors can book 5 days in advance of play.